The Fall colors really popped out today and I played hooky from all the work I shoulda coulda woulda been doing. So, instead, I went to see Anonymous, which I will blog about soon. And, in a Shakespearean double whammy for the day, I took in a really fun performance of Kiss Me, Kate done by Rockville Musical Theatre. It’s been a long, long time since I’ve seen a show on Broadway, but I was getting those good pre-show vibes while I was listening to the musicians warm up. I just kept feeling transported to New York and was all excited waiting for the show to start (of course, the tix were a lot cheaper in Rockville than Times Square!). The show is fantastic! 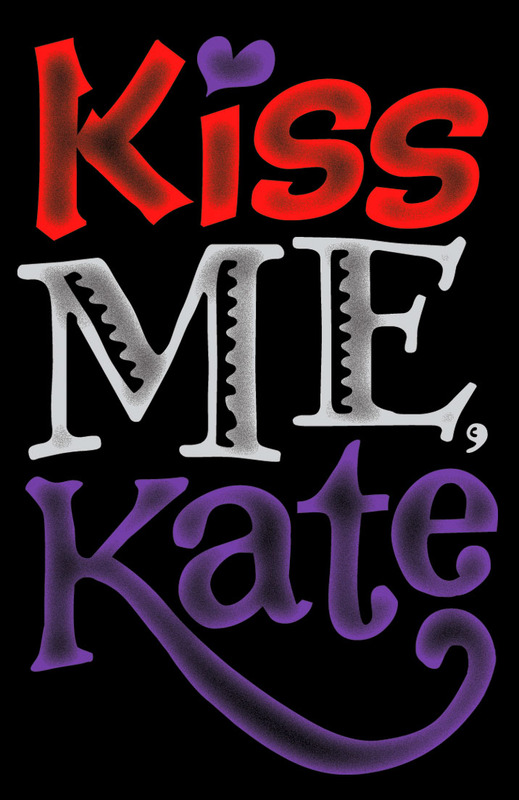 I can’t remember if I’ve seen Kiss Me, Kate before. If I did, it was decades ago. The story is so cute, set in post-WWII Baltimore and involving the relationship between the actors Lilli and Frederick as they play the roles of Kate and Petruchio in a musical version of The Taming of the Shrew. It’s great fun how the 1940s storyline mirrors and weaves in and out of the play within the play (and they stage quite a lot of The Taming of the Shrew!). The actors do a wonderful job, the leads have beautiful voices, and the dance numbers are well-done (I especially enjoyed Too Darn Hot). The Cole Porter tunes are familiar and fun and the musicians are excellent. I was surprised to see one of my kids’ pediatricians as the musical director… that’s what I love about community theater! And while I was impressed with this production all around (singing, dancing, music, acting, costumes, sets), what I like best of all on the Rockville Musical Theatre’s website is their “Oh S#%t Awards” for the biggest goofs during each production. I got a good laugh out of that (but did not notice anything tonight that would earn the award)! Anyway, great fun and I highly recommend it to anyone in the DC area. Kiss Me, Kate continues this weekend and next at the F. Scott Fitzgerald Theatre in Rockville. Tickets are $20 and I was pleased to see a good crowd there tonight! Head on out, folks. It’s Wunderbar! © All Content, Copyright 2011 by Blog Author, Or What You Will. All Rights Reserved.